Hamilton's shelters for abused women are chronically full and an increasing number of women and children are being forced to stay in hotels, a move that can put their safety at risk. At Martha House, the city's largest shelter, around 200 women a month are being turned away. In 2011, the city spent $30,274.67 on food and lodging for 48 women and their children who were placed in a hotel because shelter beds were full. "It's a real crisis situation," said Val Sadler, director of women's services for Mission Services which runs Inasmuch House. They had 648 turnaways in their last fiscal year, ending March 2012. "We regularly have women sleeping on cots and couches, which reduces our effectiveness to help them. When they're sent to a hotel, all they're getting is a bed and they need much, much more." Women's shelters spend thousands of dollars on security equipment, including surveillance cameras, bullet-resistant windows and locks, none of which exist at hotels. "Our main goal when we know a woman is in a hotel is to get them out of there," said Sadler. 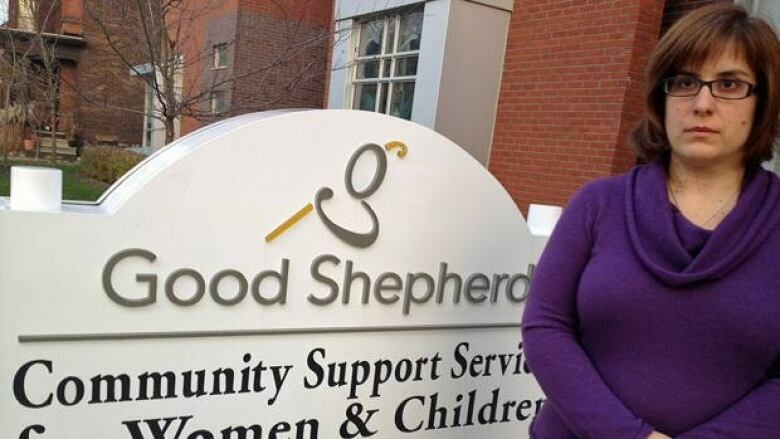 Kristene Viljasoo, director of women's services at Good Shepherd, said women are typically sent to hotels when the shelters are full. But she admits, "We do not always know what happens to turnaways. If a woman doesn't disclose safety issues, she may be left to explore other options on her own." Last year the city placed 48 women and children in hotels, at a cost of more than $30,000. However Viljasoo said that number has gone up dramatically over the past year. The overflow is a direct result of lack of affordable housing. With so few housing options, women are staying longer in shelters, some up to six months. Sadler said they worry the frustration of looking for housing may force some women back into an abusive home. "They feel like they have to choose a life of poverty over a comfortable environment for their children," said Sadler. Selena, who asked her real name not be used, has been at Martha House with her three children for five weeks. She spent two nights in a hotel, paid for by her brother, before calling the shelter only to find out they were full. "The first time I called they were completely full so I just drove around in my van all day wondering where to go," said Selena, who was with her abusive partner for 12 years. She said services have helped her immensely. "The way they embrace you here is wonderful." Viljasoo said women who are in hotels don't have the same access to services that are provided at shelters such as legal advisors, child and youth workers and staff who are trained to help trauma victims.